IT will be a France ‘invasion’ of Papua New Guinea with more than 70 families from France’s energy giant Total SA arriving by the end of this year to fast track the Elk-Antelope LNG project in Gulf Province. 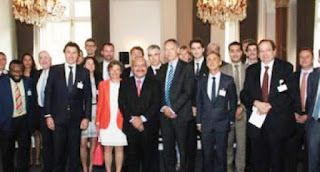 Prime Minister Peter O’Neill, on his seven day visit to Europe last week, stopped over in Paris and was briefed by senior executives of Total SA on the progress of the Elk-Antelope project. PM O’Neill on his arrival said he is pleased that Total SA is making good progress and should be able to get into the Final Investment Decision (FID) by December 2017 and by then construction will have already started by the end of this year. "I am pleased to say that there will be over 70-80 families who are going to move into Port Moresby to work and live with us as part of this project." The Prime Minister said he met with the business community at a breakfast meeting, especially large investors, where they were briefed on the state of PNG’s economy, development and government policies. "I want to assure everyone that there is huge interest from French companies, especially given Total’s decision to invest in the ELK/Antelope LNG plant, where I was briefed on the progress. I am pleased to say that Total SA is making very good progress. "We should be able to get into a FID decision towards the end of 2017, before December they will be able to come up with a final investment decision which by then construction will already have started by the end of this year. "They are showing a very big commitment about the increased participation in making sure that this project gets off the ground. "They also briefed me that they are already working now on the financing of this particular project. They are talking to their leading financial institutions all throughout the world in making sure that funding is available for this project. "They are also talking about the marketing arrangements where they are now talking to leading consumers of LNG gas in the region, which will enable us to secure the final investment decision in 2017. "I am very pleased on their briefing and their willingness to work meaningfully with Government, and the landowners and we will continue to support that," PM O’Neill said.